Every Wednesday is Sundae at Carvel. 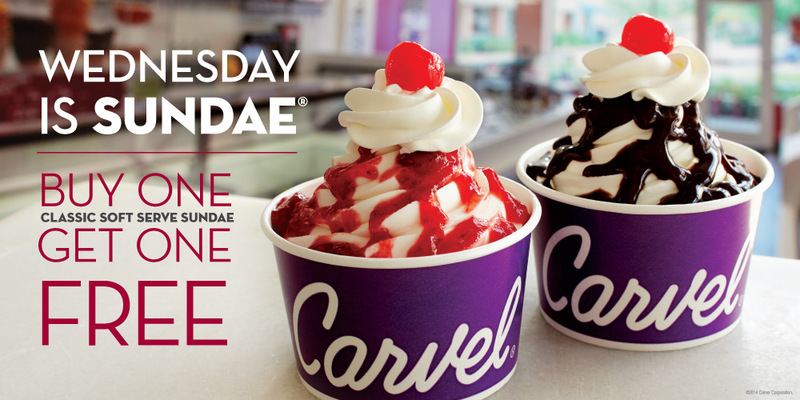 On Wednesday go to Carvel get a FREE sundae when you buy a sundae. That is two Sundae for the price of one. So grab a friend and treat them to a Sundae. Cant make this Wednesday no worries this deal will be back next Wednesday.